Usain Bolt | Bolt creates one more record! 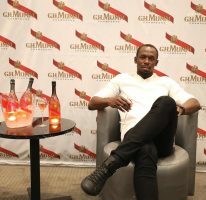 KINGSTON, August 8 – Usain Bolt has added another record to his already comprehensive list. 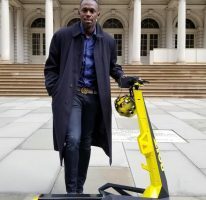 Usain is the first Jamaican to have over 5 million fans on Facebook, adding 300,000 in less than two months. Up to June 16, his fan list was just about 4.6 million, a week after his 19.86 seconds clocking in Oslo. 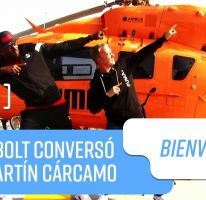 Bolt has since run in Paris, Monaco and Stockholm where he has won the 100 and 200 metres, with creditable performances. Stockholm was a ‘big’ winner for Bolt, where he finally won an event with a 20.03 clocking in the 200 metres. He had previously lost in Stockholm in 2008 and 2010 to Asafa Powell and Tyson Gay respectively. The United Kingdom is still the number one country with the highest number of fans 773,425, USA ranks second with 521,993 and India – 400,521. In terms of cities, Rome, Mumbai and London are the top three. Home country Jamaica is number 12 on the list with Kingston as the 8th top city in the world. Facebook is reporting there are 90,000 fans from Jamaica on the network who are fans of the track and field star. The 18 – 24 male age group has 33 per cent of his overall fan base, while the 13 – 17 male is second with 29 per cent. The top female group is the 13 – 17 representing 8 per cent of his overall fan base. Bolt is set to defend his titles at the World Championships which begins in Daegu on Saturday, August 27.